Play fun time with Kanz Cute Unicorn Play Mats! 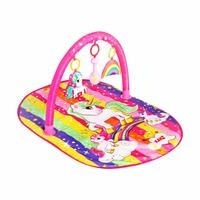 Designed for babies, Cute Unicorn Game Rug is a playground that allows your baby to have fun hours with colorful and cute animal characters. 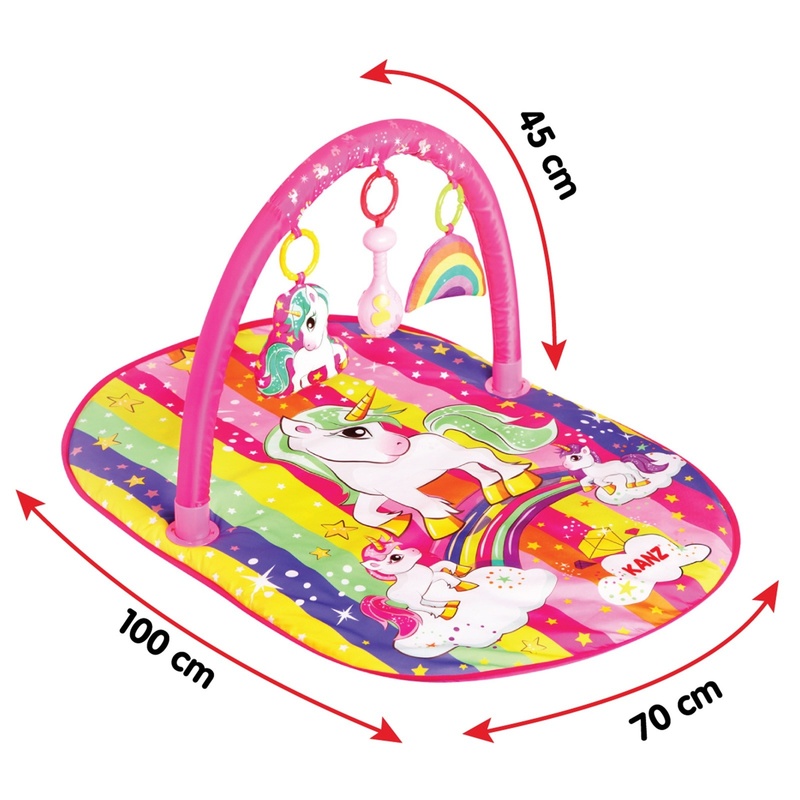 Your baby plays with the toys in the toy bar in the game mode, hanging toys attract the attention of the baby, his head raises the head and neck strengthens the muscles. Your baby can play with soft toys on the face-up game mode. Rattles hanging in the game bar can also be used. 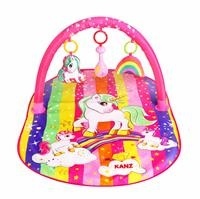 Supports the development of motor skills. It helps to improve the visual and auditory senses. While supporting the development of Hand and Eye Coordination, it also helps to understand the relationship between cause and effect. Manufactured from quality materials of European Union Standards. CE Certified. 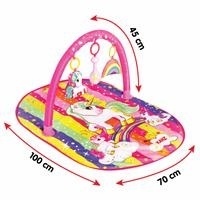 It has passed the Toy Safety tests and is not harmful to health. It does not contain any AZO substance in its fabrics and does not contain any harmful chemicals for your baby. There are no harmful chemicals such as phthalate and course in plastic parts. Especially in the hair products, especially hairs are short and will not break. 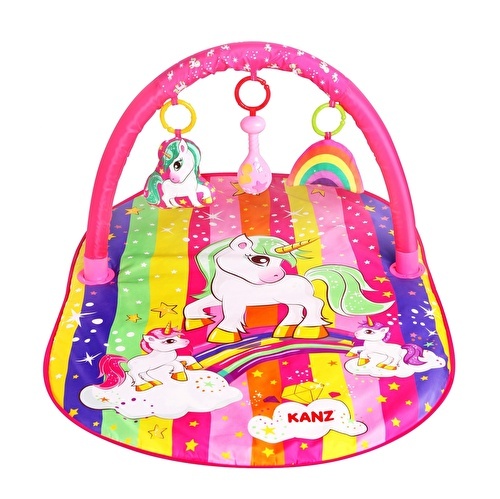 Kanz Toys is delivered to you with quality and assurance.